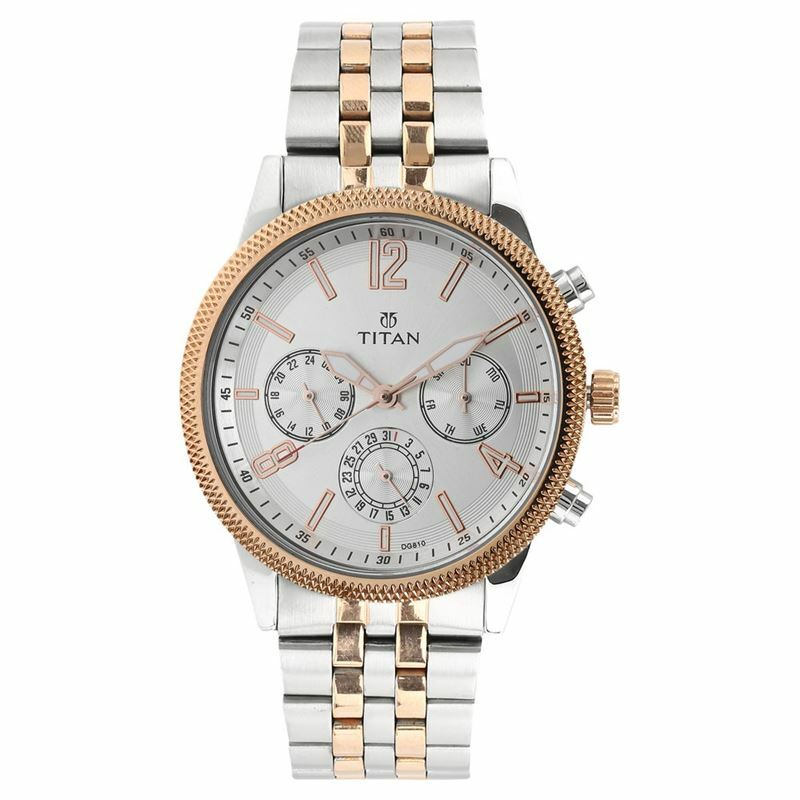 Titan presents this beautifully designed watch for men with an elegant Blue color dial and a mineral glass covering. Featuring a Bimetal Rose Gold strap and brass casing. The mineral glass shield and 5 ATM water resistant depth make it an all-season wear. It comes with a 24-month warranty.